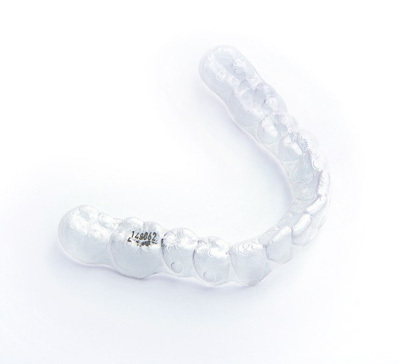 Invisalign® i7 is a clear removable brace system that has been designed to treat minor cases of malocclusion. For example it can treat teeth that are slightly rotated or out of alignment, or which are slightly overcrowded. This system is also good for people who have had orthodontic treatment in the past but who have found their teeth have since shifted position. The system uses a series of clear plastic aligners that are fully removable and virtually invisible, providing a discreet straightening system. For a clear brace that is capable of treating more difficult cases, read about Invisalign® Full. What Is the Step-By-Step Process for Having Invisalign® i7? You will need to visit us for a consultation at Harley Street Orthodontic Centre for a complete assessment to find out if Invisalign® i7 is suitable for you. Your dentist will discuss your orthodontic issues, including exactly what you'd like to achieve through having orthodontic treatment. We will need to take impressions, x-rays and photos that will be sent to Invisalign® so they can create 3-D digital images of your teeth using their Clincheck® software. Your dentist will use these images to plot the movements of your teeth, and will be able to show you a digital image of their final position. The next step is for your clear aligners to be fabricated so you can begin treatment. You will need to wear each set of aligners for two weeks before changing them for a fresh set. Your dentist will want to see you every 4 to 6 weeks to check treatment is progressing as planned. In a few months you should have a straighter smile. You can expect to experience a small amount of discomfort, especially every time you change your aligners for a fresh set. This discomfort should quickly subside as your teeth become used to the new aligners. Any pain or tenderness should be easily controllable with over-the-counter painkillers. Invisalign® i7 is designed to provide results within as little as three months as treatment is only focused on the front teeth. Can I Eat and Drink as Normal, and What about Cleaning My Teeth? Invisalign® i7 will enable you to eat and drink perfectly normally as you remove the aligners every time you have a meal. You'll also be able to brush and floss your teeth in exactly the same way as before, and it's important to make sure you brush your teeth each time after eating and before you reinsert the aligners. The actual aligners are very easy to keep clean as they can be gently brushed under lukewarm water and thoroughly rinsed, or you can buy special cleaning solution from Invisalign.